﻿ Sjaak Lucassen; ‘Just take the bike you love and go’! 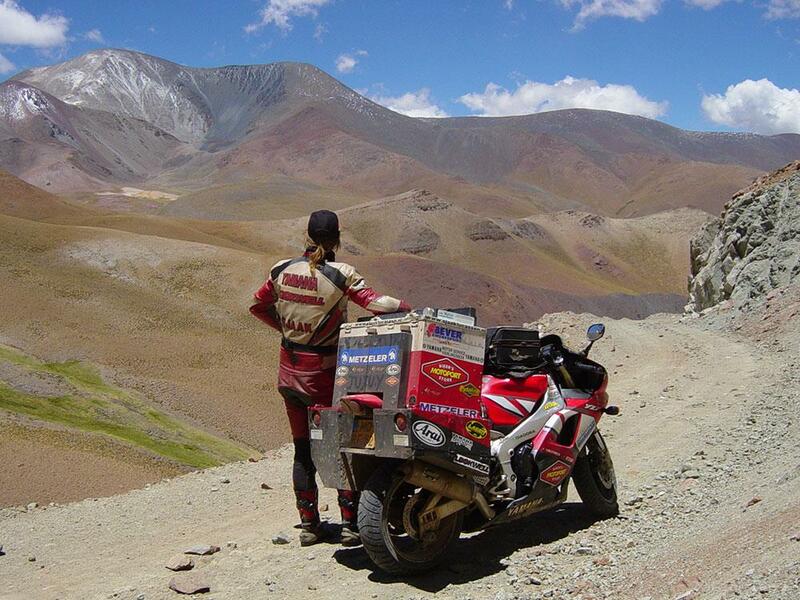 Dutchman Sjaak rode around the world on a ’92 Fireblade in 1995. And in 2001 he set off for a 155,000 mile, five-year journey on a Yamaha R1. Here’s his advice on choosing the right bike for an adventure. Travelling with a strict timeframe is one of the biggest mistakes you can make. Having time on your side means you can take whatever bike you like; take it all in, store memories and enjoy all the little unexpected things. Life on the road is full of unplanned moments and these are what make an adventure. If you’re in a rush then chances are you will simply ride by and miss them. People plan from A to B so they can say they’ve been somewhere. But the ideal is to be somewhere in between and delay ‘B’ for as long as possible. To do that you need time, and if you have that then you can take whatever you like. Don’t assume that your bike can’t do it. Back in ’92 I sent a new Fireblade to Australia from Holland and rode around for four months. Everyone said I was crazy. Why? It’s my bike and that’s what I wanted to ride, I never thought any more of it. I only realised how strange it was when I met other motorcycle travellers on my first round-the-world trip. But it didn’t stop me. 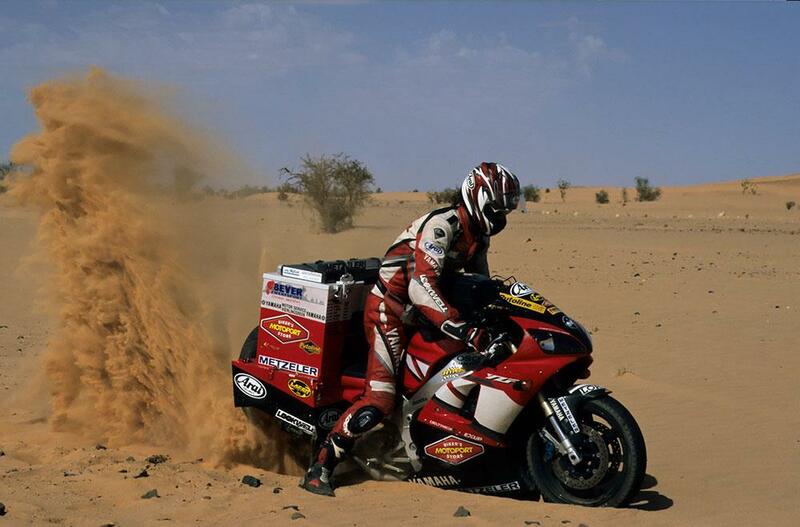 A sportsbike can get through pretty much anything. In Kenya I met three guys on Yamaha Ténérés in deep mud. Only one Ten and my Blade could get through because of the Blade’s wide rear tyre. It works beautifully in the Sahara too – just let your pressures down to 0.5 bar rear and 0.8 at the front. I travelled 100,000 miles on the Blade in three years and later my R1 hit 155,000 miles after five years riding around the world. I love sportsbikes so I’m always going to travel on one. The right bike is the bike your heart chooses, if your heart’s in it and time is your friend you will succeed with anything. Just take the bike you love and go. Sjaak and seven of the world’s most influential motorcycle explorers will be appearing at the Carole Nash MCN London Motorcycle Show on February 12-14. From Mondo Enduro and Terra Circa star Austin Vince to the Harley hardtail- riding Gareth Jones, the seasoned adventurers will be interviewed on stage, sharing stories, displaying their trusty steeds and giving out advice to budding travellers. To find out more about the show and to book your ticket, click here.